The Bulldogs took back "The Valley Trophy" on Saturday night in San Jose. 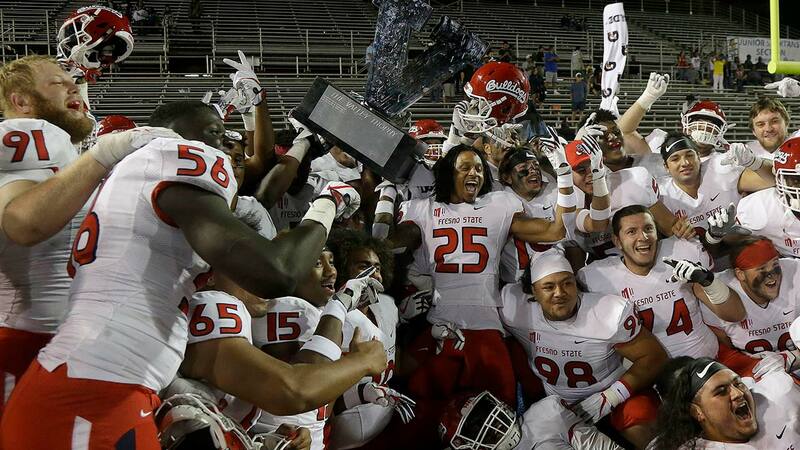 The traveling trophy that was created in 2013 returns to Fresno after the Bulldogs bring home a 27-10 win over San Jose State. Fresno State improves to 3-2 overall and 2-0 in Mountain West play. The Bulldogs jumped out to a 21-0 lead and held on thereafter. Fresno State will host New Mexico next Saturday October 14th. The game is set for a 7:00 PM kickoff at Bulldog Stadium.